Well Hello. It's been a while! I've been super busy doing lots of exciting things (new yarn colours out now and a new book coming soon!). But I'm BACK! You can expect lots of blog posts in the near future, I'm going to try really hard to make it a habit. 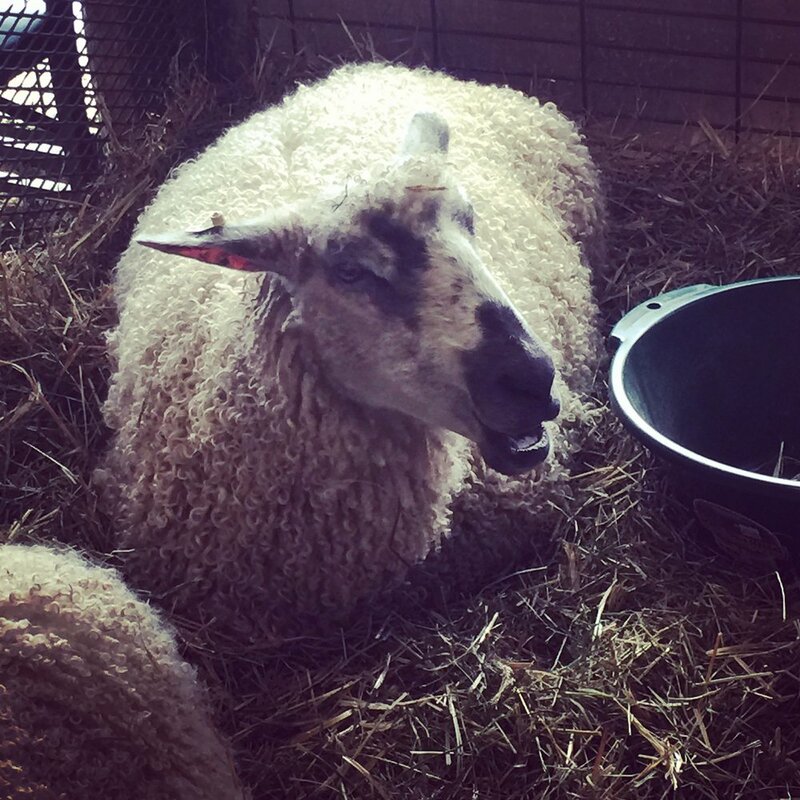 In two weeks I'll in Rhinebeck NY for New York State Sheep & Wool Festival, I went last year and it was nothing less than AMAZING. I'll be on the Merrett Bookshop Stand, they will be selling copies of all my books and I can sign them if you want me to. I will also be giving a talk on Sunday as part of their Tales of Yarn event, so come along and listen! 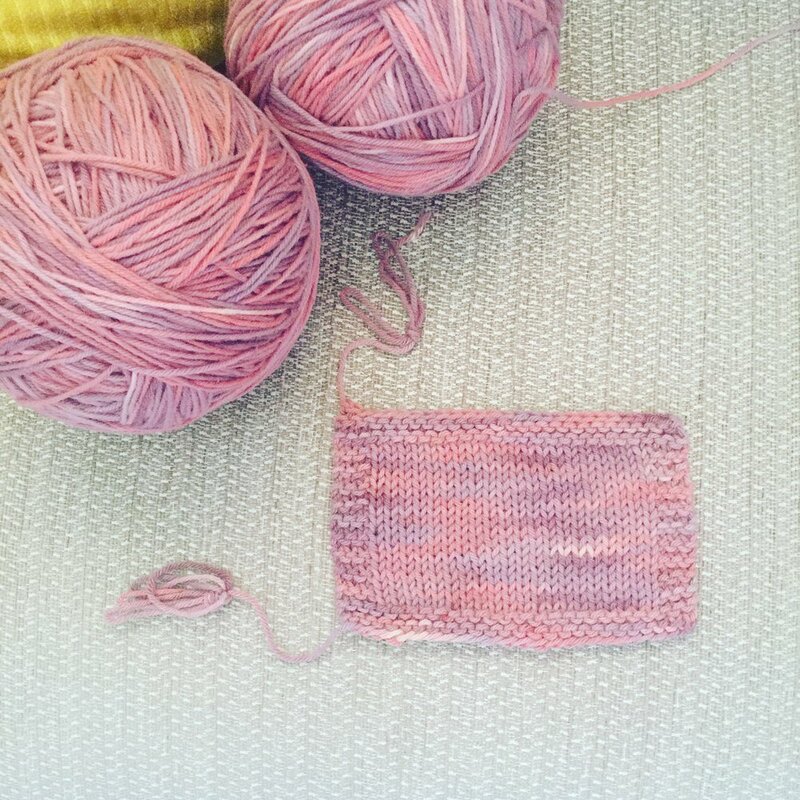 It's traditional to knit a Rhinebeck Sweater. I'm terrible at knitting sweaters for many reasons, but I'm giving it a jolly good go. Last year, at Jill Drapers Open Studio (which is happening again this year, so worth a visit!) I bought a skein of Empire. This yarn is amazing, the colours she dyes are amazing, and the skein (singular) is as big as my head. And I've got a big head. It's pink and lilac - I've fallen in love with pink a little bit, which is very unlike me. This skein of yarn has been dyed in such a way that when knitted, it looks like a winter sky. After much deliberation, I ordered a normal sized skein in an olive green for contrast cuffs and button band and decided to knit a Ramona cardigan. Will I finish in time to wear in at the fairground? Will I finish it at all? Only time will tell.